Situated under clear blue skies on sprawling green plains, Prairie Springs is your contemporary suburban retreat. We offer one, two, and three bedroom Oklahoma City, OK, apartments for rent near Warr Acres. With a variety of layouts to choose from, our exceptional floor plans range in size from 692 - 1,447 square feet. Find a home you love and choose the floor plan that best fits your life and your style. Many of our apartment homes offer gorgeous vaulted ceilings, allowing for bright natural light and an open, airy feel. Complete with neutral paint colors, plush carpeting, and sophisticated finishes, your new home enhances your aesthetic. 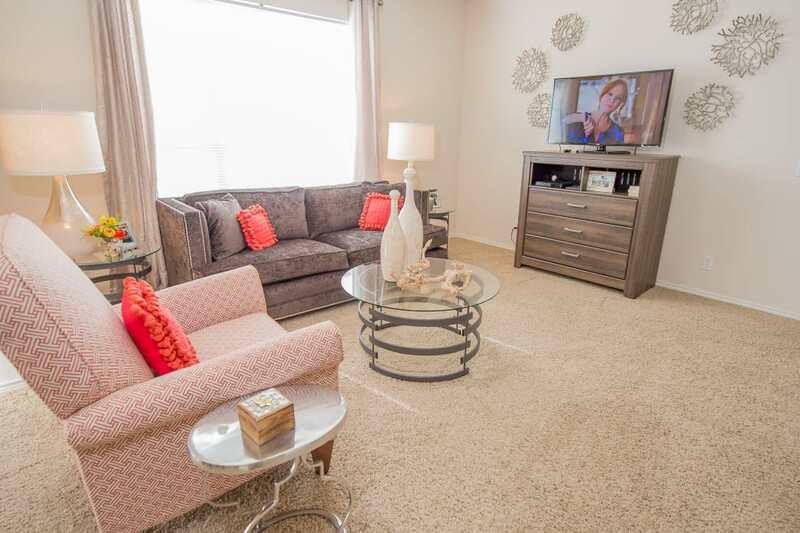 The apartment homes at Prairie Springs are designed to be lived in and loved. 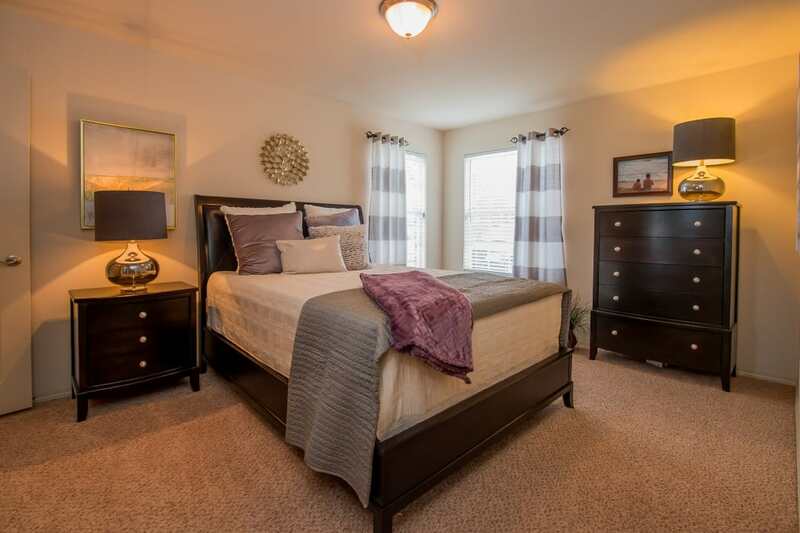 Choose between our array of phenomenal layouts with floor plans starting at 692 square feet. Perfect your favorite family recipes and create new memories in your spacious chef’s kitchen, outfitted with premium appliances and generous storage space. Your new home features washer and dryer connections for your convenience as well as a large walk-in closet to keep you tidy and organized. On a cool night in select homes, you can curl up with a book in front of the cozy, wood-burning fireplace with a hot cup of cocoa. A new way of life is yours to enjoy at Prairie Springs. Let us show you around our Oklahoma City, OK, apartments.